AC-22012X The Sabian AAX 20 Inch Stage Ride is the first choice of many professional touring drummers. 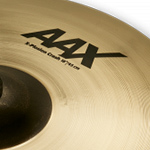 The cymbals in the AAX range deliver a bright, explosive, penetrating sound. 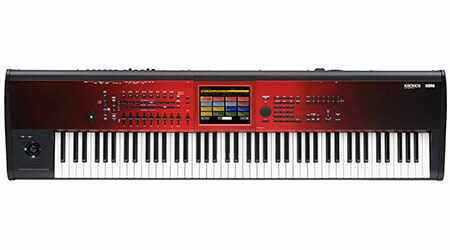 AC-21887XB Bursting with bright, explosive attack, this model delivers penetrating definition with total presence and power. 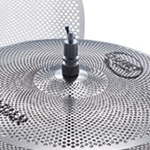 AC-SAB21716CSB Developed by Red Hot Chili Peppers drummer Chad Smith, the AA Holy China delivers higher pitch due to its higher profile, holes for volume and sustain and a large bell for great cut. 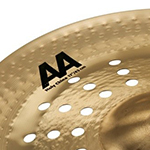 The AA Holy China range has long been one of the most popular china cymbals that Sabian have on offer. 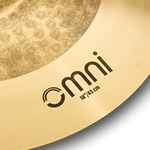 AC-SAB218OMX Developed by drummer Jojo Mayer, the OMNI range of cymbals were designed with a vision of creating a range of cymbals that deliver outstanding sonic contrast both when played on its own or with other cymbals. 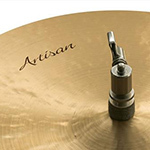 AC-SAB22280A With the current fashion of drumming and the sound that many drummers are looking for focusing around dark and dry cymbals, Sabian fully deliver with the Big & Ugly Collection. This 22" AA Apollo Ride Cymbal presents versatility; hit it hard for a modern sound, or take it down low for a controlled sound with sublime shimmer. 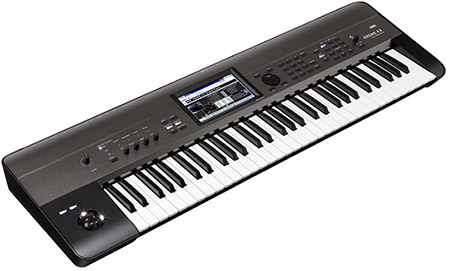 AC-SABXSR5005B Why is XSR so good? 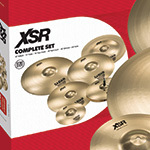 Like our other professional series cymbals, XSR cymbals are pin-point lathed and hammered. Their profiles have been enhanced and their bells reshaped and redesigned to accelerate the overall sound. The result? Crashes are thinner, with quicker responses. Rides provide a tasty balance of stick definition and tonal wash. And Hats are crispy and accurate, with boosted clarity and cut. Try a set on today and find out what the buzz is all about. AC-11608XN Hot, simmering darkness is the sound of HHX. 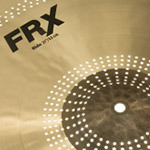 With its Tone Projection design, this Modern Dark cymbal shoots its tone through the music around it. Speak to our Drum Specialist today for more information, and the best prices. 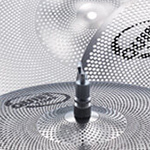 AC-21402X The Sabian AAX 14 Inch Stage Hihat Cymbals give you control in any style of music. 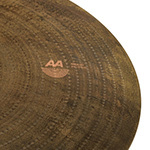 The AAX range is one of the most popular cymbal choices for drummer from all backgrounds. Speak to our Drum Specialist today for more information, and the best prices. AC-12012XN Hot, simmering darkness is the sound of HHX. 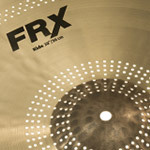 With its Tone Projection design, this Modern Dark cymbal shoots its tone through the music around it. Speak to our Drum Specialist today for more information, and the best prices. AC-QTPC504 Our new practice cymbals respond and feel like traditional cymbals - from edge to clearly defined bell - so you dont have to change the way you play. 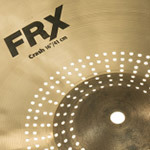 Their greatly reduced volume is perfect for practice sessions, drum lessons, or any other time you need quiet cymbals. AC-FRX2112 The Hats pair a light top over a medium-weight bottom for exceptional versatility, clean sticking, and crisp response. AC-QTPC503 Our new practice cymbals respond and feel like traditional cymbals - from edge to clearly defined bell - so you dont have to change the way you play. 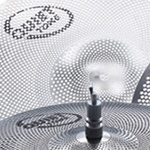 Their greatly reduced volume is perfect for practice sessions, drum lessons, or any other time you need quiet cymbals. 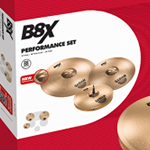 AC-SAB45003X The Sabian B8X Performance Cymbal Set is an excellent introduction into the world of cymbals offering a quality product at a reasonable price. AC-QTPC502 Our new practice cymbals respond and feel like traditional cymbals - from edge to clearly defined bell - so you dont have to change the way you play. 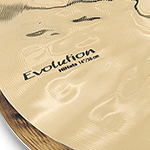 Their greatly reduced volume is perfect for practice sessions, drum lessons, or any other time you need quiet cymbals. AC-QTPC501 Our new practice cymbals respond and feel like traditional cymbals - from edge to clearly defined bell - so you dont have to change the way you play. 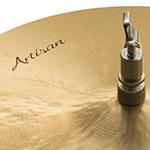 Their greatly reduced volume is perfect for practice sessions, drum lessons, or any other time you need quiet cymbals. 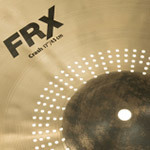 AC-FRX1606 The Hats pair a light top over a medium-weight bottom for exceptional versatility, clean sticking, and crisp response. AC-FRX1706 The Hats pair a light top over a medium-weight bottom for exceptional versatility, clean sticking, and crisp response. AC-FRX1806 The Hats pair a light top over a medium-weight bottom for exceptional versatility, clean sticking, and crisp response. AC-FRX1402 The Hats pair a light top over a medium-weight bottom for exceptional versatility, clean sticking, and crisp response. AC-SBR5003G Pure brass cymbals with a great look and sound. 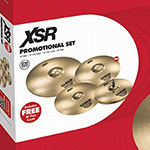 This SBR Promo Set is perfect for the beginner drummer looking to upgrade those unbranded bin lids that came with your first Drum Kit. 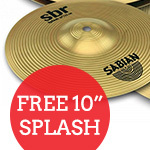 Upgrade and get a FREE 10" Splash Cymbal included. AC-21608X Explosive, full-response sound is rich with bright, high-end tone, for increased cutting power with the Sabian AAX 16 Inch Stage Crash Cymbal. Speak to our Drum Specialist today for more information, and the best prices. AC-11402XN Hot, simmering darkness is the sound of HHX. 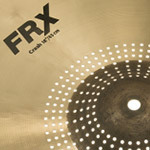 With its Tone Projection design, this Modern Dark cymbal shoots its tone through the music around it. Speak to our Drum Specialist today for more information, and the best prices. AC-SABXSR5006B Why is XSR so good? 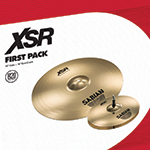 Like our other professional series cymbals, XSR cymbals are pin-point lathed and hammered. Their profiles have been enhanced and their bells reshaped and redesigned to accelerate the overall sound. The result? Crashes are thinner, with quicker responses. Rides provide a tasty balance of stick definition and tonal wash. And Hats are crispy and accurate, with boosted clarity and cut. Try a set on today and find out what the buzz is all about. AC-SABXSR5009B Why is XSR so good? 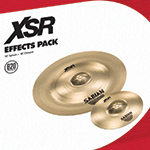 Like our other professional series cymbals, XSR cymbals are pin-point lathed and hammered. 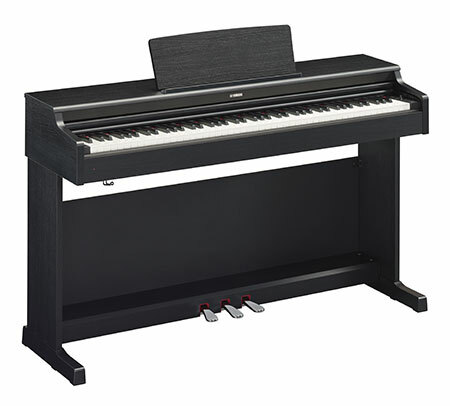 Their profiles have been enhanced and their bells reshaped and redesigned to accelerate the overall sound. The result? Crashes are thinner, with quicker responses. Rides provide a tasty balance of stick definition and tonal wash. And Hats are crispy and accurate, with boosted clarity and cut. Try a set on today and find out what the buzz is all about. AC-SABXSR5011B Why is XSR so good? 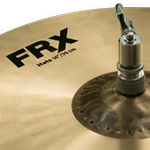 Like our other professional series cymbals, XSR cymbals are pin-point lathed and hammered. Their profiles have been enhanced and their bells reshaped and redesigned to accelerate the overall sound. The result? Crashes are thinner, with quicker responses. Rides provide a tasty balance of stick definition and tonal wash. And Hats are crispy and accurate, with boosted clarity and cut. Try a set on today and find out what the buzz is all about. AC-SABXSR5005EB Why is XSR so good? 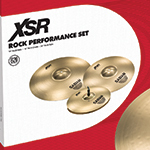 Like our other professional series cymbals, XSR cymbals are pin-point lathed and hammered. Their profiles have been enhanced and their bells reshaped and redesigned to accelerate the overall sound. The result? Crashes are thinner, with quicker responses. Rides provide a tasty balance of stick definition and tonal wash. And Hats are crispy and accurate, with boosted clarity and cut. Try a set on today and find out what the buzz is all about. 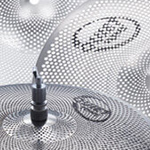 AC-21916CS AA are one of the most contemporary choices from the Sabian range, and the Sabian AA 19" Holy China cymbal delivers pure, bright, fast shimmering tones. 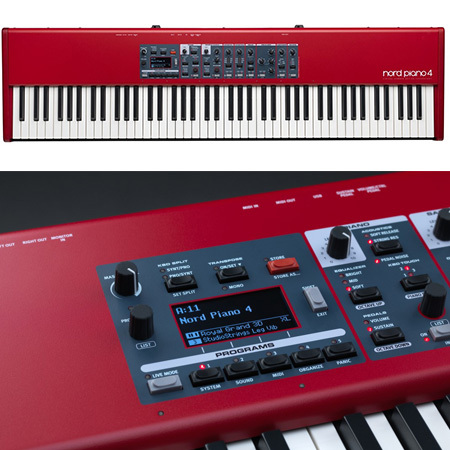 AC-11402XEB With its touch-sensitive response, this pairing delivers a glassy, shimmering response, and projects even the busiest sticking with crisp clarity. AC-FRX2012 The Hats pair a light top over a medium-weight bottom for exceptional versatility, clean sticking, and crisp response.